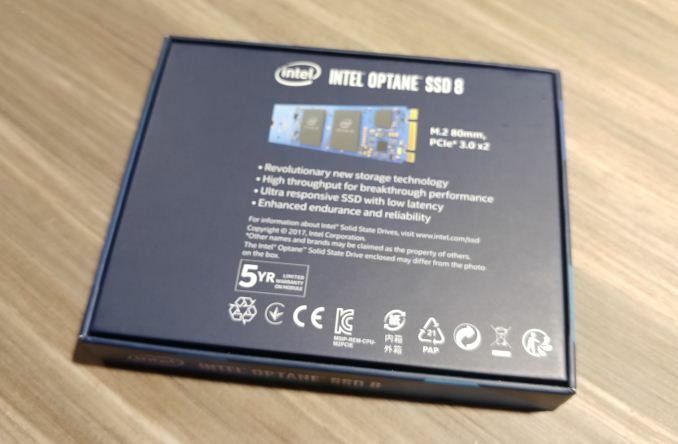 LAS VEGAS, NV — Intel has previewed an upcoming expansion of their Optane family of storage products featuring 3D XPoint memory. The Optane SSD 800p is essentially a higher capacity version of the Optane Memory M.2 drives launched last year, featuring the same controller with a PCIe 3.0 x2 connection but with twice the write endurance rating and with improved power management. 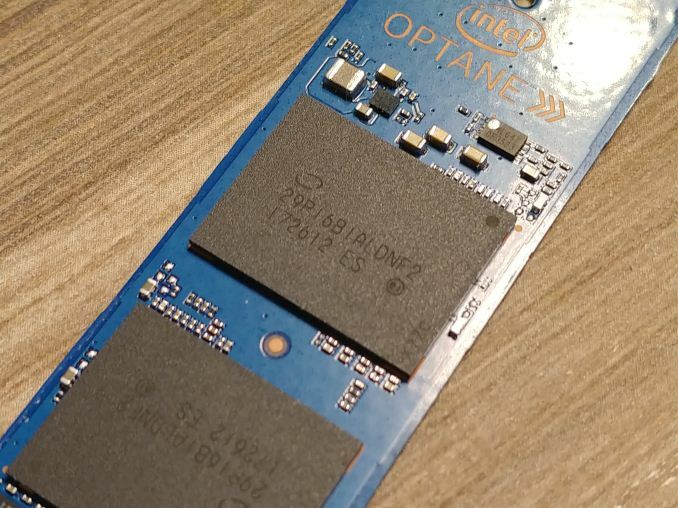 The original 16GB and 32GB Optane Memory devices launched last year actually internally identified themselves as "Intel (R) Optane (TM) SSD 800p Series", but Intel chose to brand them differently in order to emphasize their intended role as cache devices. With usable capacities of 58GB and 118GB, the new Optane SSD 800p drives are more usable for primary storage. They will probably still be usable with Intel's Optane Memory caching software, but many users will prefer instead to treat the Optane SSD 800p as a standard NVMe SSD and directly install the operating system and applications to it. Price and performance specifications are not being released yet. With four or eight 3D XPoint memory dies instead of one or two, the Optane SSD 800p may be able to deliver higher throughput than the Optane Memory, but the tiny controller and PCIe x2 uplink limit the potential performance gains. The write endurance ratings for the Optane SSD 800p are still extremely conservative given the supposed advantages of 3D XPoint memory over NAND flash memory, and especially given that the new 800p SSDs are reserving more spare area than the Optane Memory modules. The 16 GB and 32 GB Optane Memory are both rated for a write endurance of 182.5 TB over five years, equivalent to 100 GB per day. The new 58 GB and 118 GB Optane SSD 800p drives are both rated for 200 GB per day over the same five year warranty period. Intel roadmap leaks have previously revealed an M.2 Optane product with a PCIe x4 link. The Optane SSD 800p is not that product, and the impending release of the 800p suggests that the higher performance and higher capacity M.2 Optane product is still a few quarters away. The 800p should arrive in Q1 of 2018. These products are currently the wrong use case because they are trying to sell something to enthusiasts who already have SSD or to OEM's who don't want to add $30 to their b.o.m. 1) Integrate the 3d xpoint controller into the CPU to reduce costs.